If you want to start an online business as an affiliate marketer, Amazon will be most likely on your priority list of affiliate programs. Amazon.com is a global retail giant!!! From its humble beginnings in 1995 as an online bookseller to a worldwide market player with over 270 million active customer accounts – I don’t think there is anything Amazon.com doesn’t sell. In 2015, Amazon recorded 107 Billion U.S. dollar in net sales. These numbers are mind-blowing. No wonder everyone wants to have a little piece of the cake and therefore Amazon is very popular amongst affiliate marketers, even though there are a few flaws. More about the Cons a bit later. Firstly, I want to start off by showing you how easy it is to become a part of Amazon’s affiliate program. Yes, that’s right an Amazon affiliate is called Amazon Associate. Becoming an Amazon associate is a simple and straightforward process. The first step is to apply ⇒ go to the Amazon homepage, and in the footer section, you will find the link to become an Affiliate. Fill in your application form including name, postal address, what kind of online business you have (e.g. name of blog/website) and send it off. It takes a couple of days to get the approval email. Once you are approved as an associate, you will need to create an account, and you will get your associate link called tracking ID. This link is automatically embedded into every product you are going to link from your website to the Amazon store. That way Amazon will know when someone has purchased a product through your site. That means you will get paid a commission. Sounds really simple, doesn’t it? But there are a few things you should consider before you apply. First off, before you apply for the affiliate program, you should have a website with quality content and some traffic coming to your site. Why do I say that? To remain in the Amazon Affiliate program you will need to have at least three sales in the first six months starting with the approval date. If you don’t get a sale, you will get a notification that you are not part of the program anymore. The good news is that you can reapply for another six months. My point is if you don’t have an audience (= traffic) you won’t get any sales. Once you see people coming to your site that’s when you want to apply for Amazon’s affiliate program. Secondly, read the Terms and Conditions! One of the most important things you need to remember is to put a disclosure about your affiliate connection with Amazon on your site. Put it under every post that contains affiliate links to inform your reader. Here is an example that I use on my niche sites. Feel free to copy and paste. YourSite.com is a participant in the Amazon Services LLC Associates Program, an affiliate advertising program designed to provide a means for sites to earn a commission by advertising and linking to Amazon properties including, but not limited to, amazon.com. Amazon offers a small commission on products sold through their affiliate links. If YourSite.com links to an Amazon product (with a special code for affiliates embedded in the link) and you buy this item or any other product, YourSite.com will get a small percentage of the sale. You can choose from over one million products the ones that are relevant to your niche. The number of affiliate links you will put in your post should be optimized to get conversions. Don’t overdo it, though; meaning don’t put too many affiliate links in your article. By the way, you need to use the product images provided by Amazon. Simply copy the HTML code from the Amazon Site Stripe and paste it into your text editor. When you do a product review, write it with the intention to help your audience. Of course, you would like them to buy but you don’t want to sound like a sales person at the same time. Because your reader wants to know where they can get the product, you need to put your affiliate link into the review. The link will then take them to the right place. The link ideally would be a call to action like “Please check the price on Amazon” or “Buy this product on Amazon”. Tell your reader that you are sending them to Amazon. Be open about it so your reader makes an informed decision. My advice is to place a text link at the top, an image link in the middle and another text link at the end of your post. That’s it, no more! Well, Amazon has mastered the art of selling. Therefore they are providing plenty of tools for their associates to promote their products. It is incredibly easy to get product links, image links or text+image links. You can place banners, native shopping ads, and mobile popovers on your site. Also, Amazon is a trusted brand with over 20 years of experience. That means people don’t hesitate to buy from Amazon. Amazon offers a 30-day-return guarantee which is a fantastic customer service. You will get a commission for any product the customer is going to buy. Say, you promote a cooking book and your reader clicks on your link but doesn’t end up buying the book. Instead, he/she may purchase a pair of socks or a TV or something else. You will get paid the commission for these sales since you have taken the reader to the Amazon store and generated a sale. I think that is pretty incredible, don’t you think? Amazon is a retail giant and selling machine. You can promote millions of products. Lot’s of options to put affiliate links on your website. Get paid for not only products you promote but anything else your reader purchases through your link. If you are a US resident, you can get paid directly to your bank account. For residents from different countries, you can either choose to get paid via cheque or a gift card. The cheque option is rather cumbersome and Amazon takes a hefty fee. Unfortunately, they don’t do Paypal. But I have got good news. You can sign up with Payoneer and receive your money through them. Payoneer will supply you with a local bank account number which you then put into your Amazon account settings. Payoneer takes a minimal fee of 1% of your payment. You can also apply for a Mastercard and use it anywhere you want. If you open up an account through my link, you will get $25 from Payoneer as a thank you (once you receive $1000 in payments). And I will get $25 for referring you to Payoneer. A win-win for both of us. Here is the link to open up a Payoneer account for free. The commission rate is quite low compared to other affiliate programs. It starts at 4% (depending) on the product and increases if you sell more than seven items in a month and so on. You can get up to 10% commission. UPDATE on May 5, 2017: The Amazon US Commission structure recently changed to fixed commission rates depending on the product category. Please have a look at the screenshot. Ideally, you want to promote products which are getting a higher commission percentage. I marked them with a red arrow. The tracking cookie is set for only 24 hours.That is extremely short. Most programs offer 30/60/90 days or even lifelong cookies. So when you check out other affiliate programs pay attention to the cookie life. The longer, the better. You sure can. It will take some time to generate sales when your website is just a few months old. It also depends on how many product review pages you have on your site. Product reviews usually convert the best. There are lots of affiliate marketers out there that make a full-time income through Amazon with niche sites. I am going to start a new Amazon niche site shortly. Read the first part on How To Build A Profitable Niche Site For Beginners. I still would recommend to sign up for other affiliate programs to keep the balance. “Don’t put all your eggs in one basket” so to speak. Amazon’s main store is by far the American one but they also have stores in 11 more countries including Germany, United Kingdom, Canada, Brazil, and Mexico. If you want to become an affiliate for more than one store, you will need to apply separately for every single one. But how do you link your products to each country from one website, you may ask? That is an important question since you don’t want to miss out on commission for sales, right? There are different plugins and a provider like Genius link available that will redirect readers to their appropriate product on their home country store. I have been using the Bestazon plugin which is free but I know that many people are using the EasyAzon (paid) or GeniusLink which costs $9 a month. But things have changed recently because Amazon introduced the OneLink, a code you need to put in your footer section. This code will make sure that your readers will get redirected to the right products for their location. At the moment, it will only redirect from Amazon.com to the UK and Canadian store. I am sure that Amazon will add more stores in the months to come. I think that OneLink is a great tool since I can delete my Bestazon plugin. Fewer plugins better site speed for my site, perfect. Dom from HumanProofDesign has written a comprehensive post about OneLink. You can check it out here. Following up on a few comments on this article I have received recently, I am answering questions that readers have asked frequently through email or in the comment section. Why Do You Recommend The Amazon Affiliate Program Despite The Many Cons? I know that a few internet marketers are not keen on becoming an Amazon Affiliate for various reasons. Amazon offers only a 24 hour cookie period, a relatively low commission, depending on the product range and thirdly has a long list of rules and regulations. To me, the Pros outweigh the Cons by far. 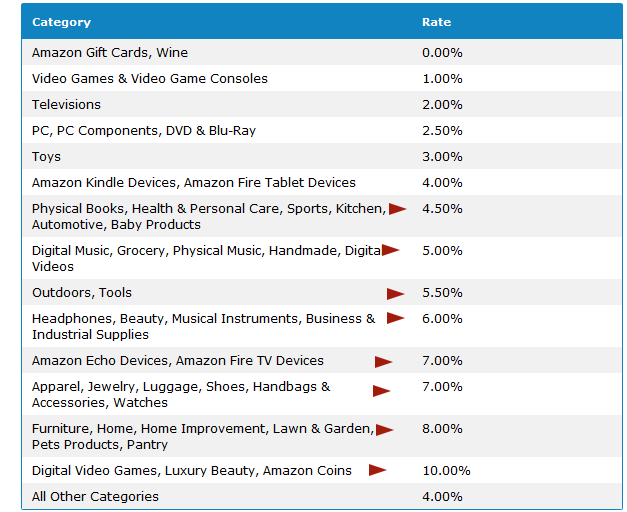 Mike from NicheSiteAzon expressed a great point why Amazon.com should be on your affiliate list. Amazon is a trusted and globally operating Selling Giant, as we all know. Amazon has a fantastic reputation for an excellent customer service, 30-day-return guarantee, and ultra fast shipping. So when a visitor comes to your site which they don’t really know and hasn’t built trust with, at least you are sending them off to an online shop they already know and trust. The chances are that they are more likely to buy from a Merchant they know than a company they don’t know. A pretty valid point, I reckon. Do I Need To Apply For Each Amazon Store Separately E.G. Amazon UK, Amazon Canada etc? Yes, you need to apply for each store individually. Each store will give you a different affiliate ID. For each store, you will need to have a sale in the first six months of being an Amazon Associate to get approved by Amazon. What Do I Need To Do When I Have Second Niche Website? → click on ‘edit your website’. How Much Traffic Should I Get To My Site Before Adding Amazon Affiliate Links? My recommendations to wait until you get visitors to your site is mainly directed to people who have just published their first (niche) website. Since you have to generate your first sale in the first six months of being an Amazon Affiliate, it is best to wait until you see an increase in visitors. In the first three months of launching your website, you will most likely see a trickle of people finding your site. That is actually a good thing. It gives you time to build up your site with content. Add quality and well-researched content which is SEO optimized and Google will start to trust your site after a while. There is no set number of how many visitors you should have. I have made sales with only 5 visitors a day because my posts are targeting buying keywords like ‘best’ or ‘review’. These words attract readers who already have the mindset of buying a certain product. It is imperative to add a Call to Action (CTA) to each post so your reader knows what you want them to do. Read more here. I hope this basic introduction to becoming an Amazon Affiliate has given you a good idea of what to expect. Write quality content including lots of product reviews. Get Readers (= Traffic) to your site. Join the Amazon Affiliate Program for free. Generate Sales = Earn a commission = Happy days!!! As outlined, there are pros but also cons of being an Amazon affiliate. In my opinion, Amazon plays a huge part for affiliate marketers and I definitely encourage you to apply with them. It is easy to join and the variety of tools to promote their products is incredible. There you have it, give it a go! Do you wonder where I have learned all these things (and more)? Read my review about my recommended online training platform. Or, join me and thousands of other affiliates by clicking on this link. If you have any questions, please leave a comment below. I’d love to hear from you. Please note: this post contains affiliate links. For more information read the Affiliate Disclaimer. Hi Derek, the key for me is to write thorough product reviews and buying guides that will answer most questions a potential buyer may have about a product. There is no rush to put affiliate links in a post when you just start a brand new site. It is most likely that the new site only gets a trickle of visitors in the first few months anyway. Good luck with your first sale. If it doesn’t happen in the first six months you can reapply for another six months. I too am an Amazon Affiliate. I joined Amazon UK, where I live and Amazon USA to promote products to which I have a passion for. Regarding payment, I receive a direct debit to my bank regarding Amazon UK however I receive a cheque through the post for commissions I earn from Amazon USA. Interesting read regarding building a website up with enough visitors to become an Amazon member. I initially wrote about 6 posts on my website before I joined and shared the links via social media channels. This is a great way in which to receive visitors, then once joined I updated my web posts and placed affiliate links in among the articles and carried on sharing each post once per month. How many affiliate links to apply per post is crucial knowledge to understand but there’s no definitive answer which leaves us all in the dark somewhat but I think you’ve nailed the number very well here because Google certainly don’t like too many affiliate links in web posts when sharing links via their google+ platform, I would imagine Amazon has similar views. Hello Simon, thanks so much for your comment. I have been an Amazon Affiliate for over a year now and just like you have mainly visitors from the States and the UK. Therefore I have signed up for the Amazon store in the United States and the UK. I am based in New Zealand and getting a cheque from Amazon wasn’t a sustainable option.Firstly it is too cumbersome and secondly, I wasn’t going to pay $10 for a $100 cheque to Amazon. Payoneer has been such a great option for me for receiving payments with only a 1% fee. Yes, it is hard to get the numbers right regarding how many affiliate links per post. These numbers have worked for me and might be different for each niche. The key for me is to have a clear ‘call to action’ and also to make sure that my readers know where I am sending them off to with a link. Interestingly, I have come across a couple of matured niche websites recently and read some of their product reviews but there were no CTA and no product links. I thought it wasn’t a good user experience because I was interested in buying the reviewed product there was no option for me as a reader to do so through their site. This is a timely article for me as I am starting a niche website around weight loss so amazon products may be something I consider for my website. You say it is best to wait till your site is getting traffic. What amounts of traffic would you say are good before you start adding links? 100 Visitors a day? 200, 500? When do you think is best? 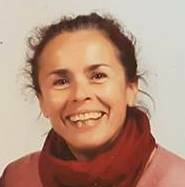 Hi Sharon, thank you so much for your questions. I will revisit my post because your question is an important one and might be of interest to other readers as well. My recommendation to wait for traffic before adding affiliate links is for people who are new to the Amazon Associates program. It links back to the fact that you have to make a sale in the first six months of being an Amazon affiliate. What happens is that after launching a niche site you won’t get much traffic if any at all in the first two to three months. That’s why there is no rush to add any affiliate links to the posts. You will most likely get more visitors after the five months mark when Google is trusting your website more. That’s when I recommend to add affiliate links to your posts because you will more likely make a sale. It is imperative to have ‘call to actions’ in the post. I have made sales with only around 5 visitors a day, so there is no set number of how many visitors one should have on their site. The scenario is different when you are already an established Amazon Affiliate with one or more niche sites and some sales under your belt. Then you can add affiliate links straight away because you already made sales. I hope it makes sense? All the best with your niche site! Thank you for this very helpful information! I’m working on getting a new website started and was planning on becoming an Amazon affiliate. Your article really helped to give me the step by step help I need to get started. I did not realize you get taken off the affiliate program if you don’t make a sale in six months. That is definitely good to know so that I don’t sign up right after getting my website built. I love that you can get a commission from a sale even if it wasn’t the product that you were promoting because the person went to Amazon from your link. I think that’s really cool that Amazon does that. The only downside, like you said, is that it’s only a 24 hour period. Hi Weston, I am glad my guide was helpful. In addition to the 24 hours cookie period, I need to mention that there is an exception: once your reader puts the product into their shopping cart on Amazon and he or she decides to buy the product later (I don’t know exactly for how long) you will get the commission also. This is a brilliant post, thank you for all the detailed steps and advice. I have just built a website and I’m currently filling it with content, whilst learning how to generate traffic. It was really helpful to read about when is the best time to start adding an affiliated link to products, it’s given me more ease in my approach to writing content. What other affiliate/associate programs would you recommend looking into? Thank you, Nathan, for your feedback. It is very much appreciated! It depends on your niche and products on where to look for other affiliate programs. The easiest way to find them is to type into Google search ‘product + affiliate’ and you’ll find lots of other programs. I have also signed up with ShareASale, FlexOffers, and CJ Affiliate; all affiliate networks. Great information on becoming an affiliate. Amazon is a good place to work for when it comes to affiliate marketing because of the name they have established along with millions of product. Your post is well detailed with tons of good information. Thank you, Norman. One of the biggest advantages of Amazon, besides the huge variety and number of products, is their customer service with an outstanding 30-day-return policy and free shipping on most items. Very nice review on Amazon Associates and what to expect. I like the fact its a trusted resource having been in the arena for over 20 years. I do agree that its best to at least have some traffic before diving in and using the links. Have you had your best success with this company as far as using affiliate links in your blog? What’s your second best online source for affiliate links? Well written and informative. Hi there David. Yes, I had the best success with Amazon as an affiliate so far. I do love the idea and process of building niche websites as a way to build a long-term passive income stream.The hardest part is probably the uncertainty if the niche will bring in the desired income. It can take months to see an increase in traffic and sales. I am also a member of ShareASale which is an affiliate network company that has thousands of affiliate Merchants under ‘one roof.’ I found them easy to use with an intuitive dashboard and great products I can recommend to my readers. Thanks for your comment and all the best! Here’s my question, I have noticed that my state in the US is no longer allowed to be an affiliate marketer for Amazon, along a few other states. Are there affiliate programs, like Amazon, that one could become an affiliate? And could you share a few names? Anke, this is a great website. I’m bookmarking this post. Thanks for the info. All the best to you, Anke. Hi, Don. Thanks for stopping by and for your question. There are thousands of another affiliate programs available besides Amazon. The process of applying for them is very similar to what I have described in my post: Build a website, find related products for your niche, write reviews and apply to become an affiliate. I have signed up with ShareASale, Flexoffers, and CJ (former Commission Junction). These are affiliate networks with thousands of Merchants. What I do is with a product I would like to promote; I type into Google ‘product plus affiliate, ‘ and that’s how I find the sign-up page for the related affiliate program. Most of the time I get redirected to ShareASale or the other affiliate networks. By the way, my favorite one is ShareASale since it is very user-friendly. If you have any more questions, please let me know. Nice article Anke. Amazon has it all don’t they? It’s nice that someone wanting to make money online can build a website and advertise for merchants and get a commission too! Thank you for sharing this timely information. Hey Mike, yes, Amazon has it all. It is quite amazing, isn’t it? I guess more and more people will start an online business but not all will pursue. It can take many months to make a commission and people doubt if it ever will pay off. I think it is worth the effort. Hi there, John here, I really liked your blog and review of jaaxy. This was very informative and very well done. I appreciate how you spelled out the meanings behind the SEO and KDQ. Thank you so much for an awesome review! Keep up the great work! Jaaxy is rockstar! Thanks Johnny, your positive feedback means a lot. The Jaxxy keyword research tool is imperative to build a proper Amazon/niche website. Without a keyword research tool, you most likely won’t succeed in building a profitable online business. 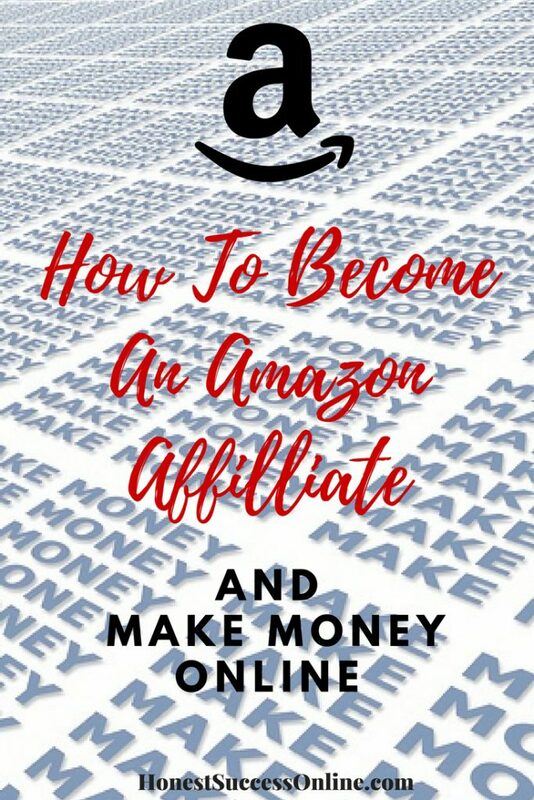 I for one am a amazon affiliate and i think this has some very good info on how to become an affiliate and also it taught me something. I for one didn’t know if you didnt have a sale in the first six months that you wont be apart of the program anymore. I also didnt know you could re-apply for another six months. Really good article! Hi Nathan, thanks for your comment. I am glad that you have found some new information. I guess it is important to stay up to date with the Amazon Affiliate program since they are introducing new features on a constant basis. I agree with you that Amazon is indeed the best Affiliate Program to join. This is because they have countless numerous products that you can promote on your website for money. However, the big problem is that, it look like Amazon doesn’t approve people from all countries to join their Affiliate Program. In fact I have always loved to promote products from Amazon, however, anytime I try to sign up to join their affiliate program, I don’t get approval by Amazon. So my question is, apart from Amazon, is there any other affiliate platform that you can recommend for me? I will be very happy to hear from you. Hi Stephen, thank you so much for your comment. I wasn’t aware that not everyone can join the Amazon affiliate program. Thanks for pointing it out. What a bummer! There are lots of affiliate networks out there. Which one is best for you depends on your niche and products you are wanting to promote. 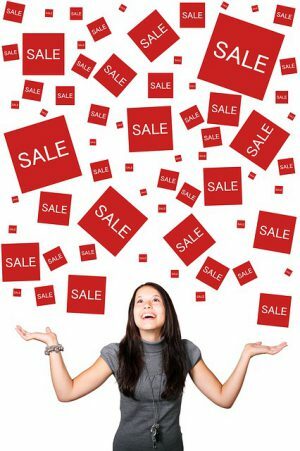 My favorite one is ShareASale – it is easy to navigate, user-friendly and has lots of brands under ‘one roof’. Good luck for your online business and hopefully one day you can be part of the Amazon affiliate program! 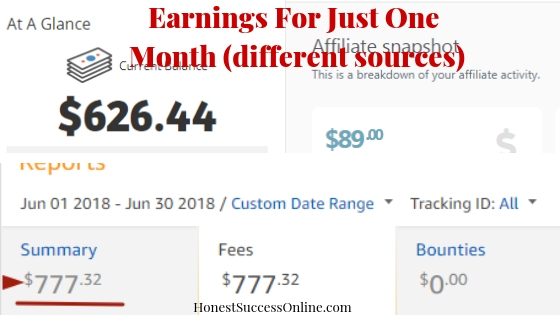 I have been looking for a well put together article on the internet explaining how to become an Amazon affiliate thoroughly. I’m glad I came across this information. It was really interesting to see where you have the cons section. The graph breaking down those percentages really helped me. Keep up the good work. Hey James, thanks for your comment. Yes, it’s good to know which Amazon products receive higher commissions. That is especially helpful if you are looking for building a new niche (website).